Most of us are enjoying the 2016 Olympics and what has more drama than Women’s Gymnastics? As we watch these talented and skilled young ladies we can only imagine the dedication and the hours they have devoted to the sport that led them to their Olympic dream. And as we observe their parents in the bleachers as they agonize over every event their daughters participate in, we wonder how many sacrifices they have made to bring these dreams to reality. We imagine each of their stories, behind the scenes, would be the making of a fascinating novel. 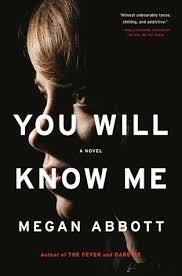 Megan Abbott, a New York Times best-selling author’s eighth novel, You Will Know Me has a timely release as she tells the story of the Knox family. Katie and Eric have dedicated their lives to their fifteen-year old daughter, Devon, a gymnastics prodigy and Olympic hopeful. They have made Devon the focus of their entire lives and Drew, the younger brother is often pushed into the background. Devon is the star, the thoroughbred of the family. Even in the womb, Devon seemed like a natural gymnast. She kicked her mother so hard she dislocated one of her ribs. At age three, she was physically transformed due to an accident when she ran into a lawn mower that cut off two of her toes. That’s when her parents enrolled her in gymnastics and discovered she was a genius at it—fearless, powerful and freakishly flexible. The story is told from the mother, Katie’s, point of view. 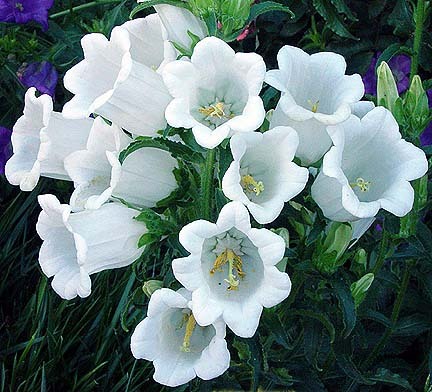 Katie, who knows her daughter’s every knot and chord, and that gives her a false sense of closeness, of know ability. That is the book’s eerie central theme: You can’t know the people closest to you even if you spend your days focused on the minute details of their bodies, rubbing out aching muscles or adjusting leotards. The story also digs deeply into the issue of personal sacrifice to achieve a goal. Devon might be able to do something very few can do but does that mean she has to give up a normal childhood and teen experience? As if there were not enough drama on this Olympic stage setting amongst the competitors as well as their “booster” parents, a crime is committed that rocks their community. Handsome and popular Ryan, a regular and beloved figure in the gym, is killed in a hit- and- run accident. What was he doing, walking alone on a dangerous road late at night? Police are investigating and the “booster” moms have their own theory. The novel’s real draw is not solving of this mystery but Katie’s realization that her life is not what she thought it was. Just as good gymnasts seem to make their flips look as effortless as coin flips, so do good writers like Abbott weave many themes into a story that cause us to turn the page and most importantly, to examine our own beliefs. As she has done in many of her other books, Abbott has the incredible knack for putting us in the head of a conflicted character who has to face up to some ugly truths. Woven throughout the story is a family drama, a crime story and reflections on the real cost of the pursuit of excellence in any endeavor.